Legal Ohio sports betting can seem a bit tricky to navigate at first, but in reality, residents do have several options. When you start searching for ways to legally bet on sports in OH, it will become clear that you have limited land-based options. Unfortunately, until sports gambling bills are passed, land-based sports betting is not allowed in Ohio. Still, residents are able to take their sports betting interests online in order to bet on the sports that they crave. Though not commonly known, this is a form of legal Ohio sports betting as long as legitimate sites are used. There is more to betting on sports legally in Ohio than meets the eye, especially when you get into the different types of legal sports betting in the US. Many residents are aware that there are horse betting and daily fantasy sports options In Ohio, but our goal is to increase the awareness of sports betting in the state as well. We will give you details on each type of betting in Ohio so that you will have no problem finding a place where you can safely wager on sports and more. 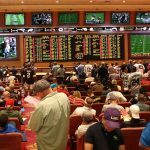 Is Land-Based Sports Betting Legal In Ohio? Although sports betting is becoming legal all across the United States, land-based sports betting is not yet legal in Ohio. Although it is not legal yet, Ohio’s state legislature have introduced placeholder bills that would make sports betting in Ohio legal. Until then, legal Ohio sports betting may not be possible at a brick and mortar sportsbooks, but residents can either bet online or drive to Pennsylvania or West Virginia to place sports bets. Online sports betting is not considered illegal in Ohio, leaving residents with the option to bet on sports online. The state has not enacted any laws pertaining to online gaming, let alone online sports betting. Though you will not find online sportsbooks that are regulated by the state, the absence of online sports betting laws means that you will not be penalized for betting on sports online. When searching for legal Ohio sports betting sites, you will want to make sure that you are not using a rogue site. As long as you use an offshore online sportsbook with a reputable name, such as Bovada, SportsBetting, BetOnline, or 5Dimes, you will not run into any issues when betting on sports online in Ohio. Where To Bet On Sports In Ohio? As a state resident, your options for legal Ohio sports betting are limited to one option – the internet. There is not a strip of sportsbooks or bars where you can go to place wagers on sports. Ohio has yet to legalize any form of sports betting. 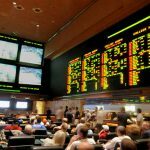 Once sports betting becomes legal in Ohio, sportsbooks could open in the Miami Valley Gaming Casino in Lebanon, the Hollywood Casino in Toledo, or any one of Ohio’s numerous other casinos. Without physical locations for sports betting in Ohio, online sportsbooks are your best bet. You have the flexibility and convenience of betting from your computer, tablet, or mobile phone. Sports betting sites are the only way that you can safely bet on sports while remaining in-state. Ohio sports betting sites are not regulated and are instead licensed by offshore operators. 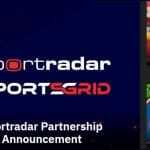 These online sportsbooks are Bovada, SportsBetting, BetOnline, 5Dimes, BetDSI, and BookMaker, and they each have licenses to accept players from the US. All of the sites offer different bonuses and promotions to Ohio residents to help build your bankroll for more wagering opportunities. The sports betting sites in Ohio may be based offshore, but they will still have the betting options that American bettors look for. You will find all of your favorite professional and collegiate sports to wager on, such as football, basketball, baseball, hockey, tennis, and more. 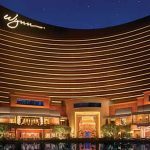 Just like a US sportsbook, your betting options include moneylines, totals, point spreads, parlays, props, and other exotic wagers. Ohio sports betting and gambling laws are specific in some areas while being vague in others. As far as general gambling, Chapter 2915 of the Ohio Revised Code permits social gambling but prohibits professional gambling schemes. 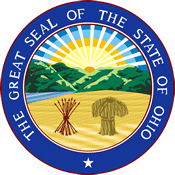 There are numerous laws that make operating as a bookie illegal in Ohio, but you will not find any laws that directly mention sports bettors, which is beneficial to residents of the state. Horse racing is also popular in the state of Ohio. Chapter 3769 of the ORC contains regulations related to horse racing betting in the state. ORC 3769.01 permits horse racing at licensed facilities and ORC 3769.08 authorizes the pari-mutuel system of wagering. You can also simulcast races at various OTB locations throughout the state. Horse racing betting in Ohio has been legal for quite some time. The state is home to both Thoroughbred and harness racing at a few different race tracks. These include the JACK Thistledown Racino in North Randall, Northfield Park in Northfield, and Mahoning Valley Race Course in Youngstown. There are also simulcast races and several Off-track betting locations within the state. Residents also have the option to use online offshore racebooks, which give you instant access to races happening at tracks all over the nation. Horse racing betting sites also have extra bonuses and rebates that are exclusive to betting on horses online. It all comes down to the level of convenience and horse betting opportunities that you are looking for. he topic of daily fantasy sports in Ohio has come up quite often in recent legislative talks. Though DFS has not technically been legalized in the state, major operators like DraftKings and FanDuel are still able to serve the Ohio market. Senator Bill Coley asked the Office of the Attorney General to analyze the legality of DFS in the state, to which the AG encouraged the General Assembly to assess the concern. OH HB 132 was introduced to set the framework for regulated DFS in Ohio and the bill passed the House and Senate by a large majority. Regulated DFS is now law in Ohio for its citizens to enjoy. Can I Bet Real Money On Sports In Ohio? The best part about legal Ohio sports betting sites is that you can bet real money and, in turn, win real money. When you develop a smart betting strategy and select the best lines, real money sports betting can be quite profitable. Online sportsbooks such as Bovada, SportsBetting, BetOnline, and 5Dimes make it easy to fund your account with Bitcoin or your credit card, and cashing out on your winnings is just as simple. Choose to receive your earnings in a check, bank wire, MoneyGram, bitcoin, or other methods. You can bet real money on sports in Ohio at any online sportsbook. Is Online Sports Betting Safe In Ohio? Online sports betting is safe in Ohio when you use legitimate sports betting sites. These online sportsbooks use the latest technology to protect your financial and personal information. All of the data entered is encrypted with secure SSL certificates, and your contact info is never sold to third-parties. As long as you are of age, you can safely bet at any online sportsbook of your choosing. 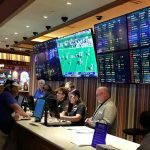 Will Sports Betting In Ohio Ever Be Legal? Yes, sports betting in Ohio should be legal within the next few years. The state has introduced placeholder bills to make sports betting legal in Ohio. Once those placeholder bills are replaced with actual bills, it should not take very long for sports betting to be legal in Ohio. Until those bills are drafted and made into law, feel free to use our recommended offshore sites like Bovada, SportsBetting, BetOnline, and 5Dimes. Using these sites is perfectly legal in Ohio, and they are the best way to get into the sports betting action in the comfort of your own home. Will I Get Arrested For Sports Betting In Ohio? While we are not legal experts and this is an opinion, it is extremely unlikely to get arrested for sports betting in Ohio. If you place bets at legal Ohio sports betting sites that are operated offshore, you will not run into any issues. There have never been any arrests made for casual bettors using an online sportsbook. Betting on sports at an illegal bookmaker located in Ohio would be troublesome, which is why you should avoid local bookies at all costs. What Is the Sports Betting Age In Ohio? The sports betting age in Ohio is 21 years old. Once you are 21 or older, you can join any online sportsbook of your choice. Some sports betting sites will allow players to start wagering at age 18, but residents will still need to wait until after their 21st birthday to join in order to avoid issues with underage gambling. If you start placing sports wagers before the legal age, you are at risk of having your account suspended and/or funds forfeited at your online sportsbook. Are There Mobile Sports Betting Apps Available In Ohio? There are mobile sports betting apps available in Ohio; just visit Bovada, SportsBetting, BetOnline, and 5Dimes from your smartphone. Nearly every online sportsbook also offers a mobile betting platform for players to bet while on the go. You still have access to all of your essential features, such as deposits, withdrawals, and of course, you’ll be able to bet on your favorite teams. Many mobile sportsbooks will offer exclusive rewards just for using the mobile betting feature, and you can still redeem the same bonuses that you would from the desktop sportsbook. Where Is The Best Place To Bet On Sports In Ohio? The best place to bet on sports in Ohio is from your couch or home office, depending on your preference. There are no land-based sportsbooks to visit, but you can easily register an online account and start placing sports bets from virtually anywhere. You can even wager from your iPhone or Android device. Mobile sports betting has only expanded your options of where you can bet on sports in Ohio. Going online to Bovada, SportsBetting, etc. in the comfort of your own home is the best way to bet on sports in Ohio. Should I Use A Local Bookie In Ohio? You should never use a local bookie in Ohio to bet on sports. Not only is this illegal, but the activity is also quite unsafe. There is no way to guarantee that you are getting fair odds or that the bookie will hold up their end of the deal. You could also receive a misdemeanor charge and be assessed fines if you were caught placing wagers. Using sports betting sites or heading to a state with legal sportsbooks is the safe way to bet on sports. Do Any Casinos In Ohio Have Sports Betting? No, there are no casinos in Ohio that have sports betting. Pennsylvania and West Virginia are the closest states to Ohio that have sportsbooks operational. Sites that offer online casinos will often have sportsbooks as well. These one-stop-shops allow sports fans and casino players to wager on all types of games from one central account. Can I Bet On Sports With My Friends In Ohio? You can bet on sports with friends in Ohio as long as 100% of the money is pooled together. This means that the pool is not being conducted for profit and is permissible under ORC 2915.01. For other types of sports betting, you will need to use an online sportsbook. Our recommendations are Bovada, SportsBetting, BetOnline, BetDSI, BookMaker, and 5Dimes. In Ohio, you and your friends can get online and bet on sports without issue. Online sportsbooks are open to everyone, giving you and your friends a wide range of betting options. Everyone can create their own accounts and choose the particular event(s) that they would like to wager on. Social betting is just one more convenient and safe way to enjoy legal Ohio sports betting.